In the News: Mormon Tea! "Brigham Young banned the use of caffeine, alcohol and stimulants, but approved drinking "Mormon Tea" as a beverage. This is also used for bronchial and cold medication made from the ephedra plant, stronger than caffeine or any stimulant. Ephedrine is the main ingredient used with precursors, making it 35 times stronger to make methamphetamine or illegal street drugs better known as "meth", "speed", "ice" or "go fast." These are some of the most dangerous illegal drugs in use by addicts today. Ephedrine, known as "whites," can be purchased in truck stops to keep drivers awake. This drug is in full view of children. 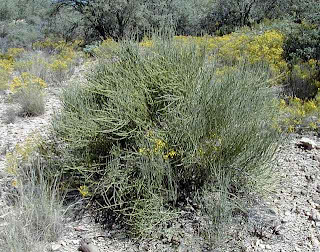 The ephedra plant grows wild in southern Utah." His rant was aimed at demonstrating the silliness of the "Zion Curtain" portion of Utah's liquor laws, but that is beside the point. The thing we're concerned with is the validity of this claim that: 1) Brigham Young specifically ordained and advocated the use of the ephedra plant; and 2) wild native ephedra has medicinal properties. I've been chasing after this elusive goal for quite some time, and I have yet to find any primary source (Brigham Young, or otherwise) identifying tea made from the ephedra plant that grows indigenous to Utah. I have found several other primary sources which show that Brigham Young and many other pioneer settlers drank a sort of tea made from h erbs and spices, carrying the name of either "composition tea" or "hot pepper tea." One source called this tea insipid, and another called it the "Mormon Highball." I have found plenty of references to this tea (and also recipes), but not a single reference to the ephedra to which Bob Montanez alludes. In the LDS Historical Archives in Salt Lake City, there are a couple of extracts from journal articles from the 1970s that call the native ephedra plant "mormon tea" but this appears to be an attribution of the latter half of the twentieth century. As for Bob's claim that you can get seriously hopped up by drinking ephedra tea-- I imagine there is a great difference between a pharmaceudical grade of ephedra, and tea made from wild plants. Further, my preliminary research shows that although there are some physical commonalities between the appearance of Utah's native ephedra and that of the Chinese medicinal variety, Utah's version has been lab tested to show that it holds no medicinal value. Although the Utah and Chinese plants share the same genus, the medicinal properties are separated in the species and varietals. I remember drinking this as a young Boy Scout in Las Vegas in the 1960's. Not bad with a bit of sugar. As I recall, one of the reported side effects is bad breath. Brock, I'm thrilled to find your site through Mormon Times! 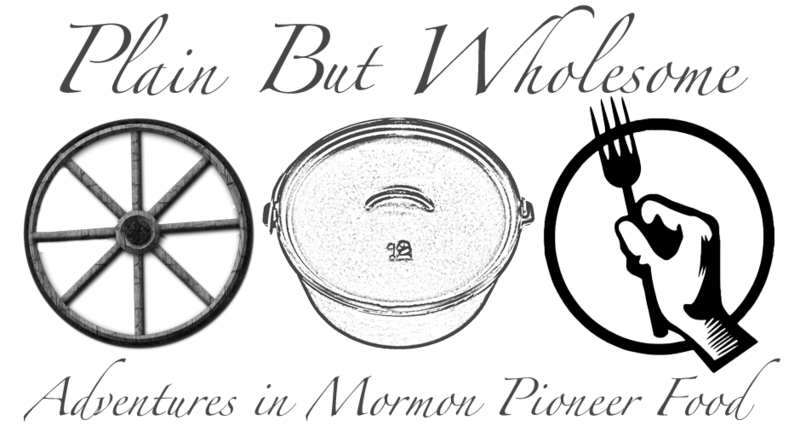 Each July 24 I want to cook authentic recipes for my family, but the best I could find were from an old Nauvoo cookbook of dubious authenticity. I'm going to make donuts very soon. Good luck with that book--I hope it succeeds. Very cool information and a fun read. Next time I am offered tea, I'm going to explain that the only tea I can drink is "Mormon Tea." Wow, it looks like we have broken the barrier-- strangers have started commenting on the blog! Welcome welcome everyone, and if you have food threads you'd like to explore, please let us know! And a special welcome to long lost friend Trish Strebel! 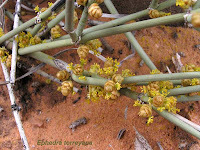 The herb ephedra cordifolia has held it's place in use for a large number of years for a lot of things. It is most commonly used to deal with asthma, cough, bronchitis and nasal congestion. As a weight loss aide however, people have used ephedrine hydrochloride recently. In line with the "Journal of the American Medical Association," ephredra and ephedrine produced only modest short-term weight loss in a overview of studies. There were no long-term studies, and the side effects noted were critical. Further, methamphetamine and ephedrine are not synonymous—though the later is used to manufacture the former, they are distinct compounds. The leap from using ephedrine to the approval/use of illicit drugs is apples to oranges. Ephedrine is of recognized medical legitimacy. Herbs, from which much of modern medicines were derived, were listed under the word of wisdom as “to be used with prudence and thanksgiving.” Take that as you will.